With UBC’s application deadline approaching next month – January 15, at 11:59 pm (PST), to be exact – you’re probably excited to find the university experience that is going to be a great fit for you. 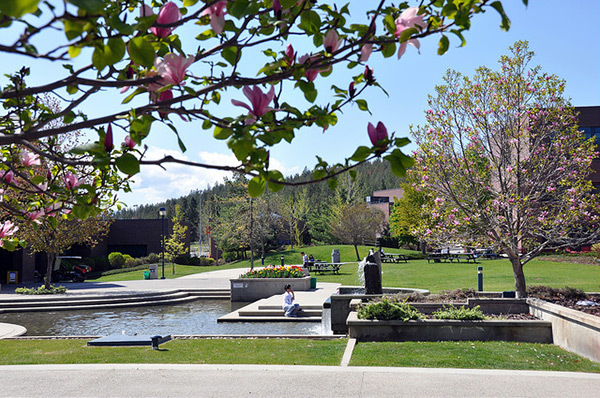 So before you apply, make sure you check out UBC’s Okanagan campus, in Kelowna, BC. UBC is consistently ranked among the top 40 research universities in the world and the Okanagan campus is a great place to be challenged, to thrive, and to develop into a global citizen. 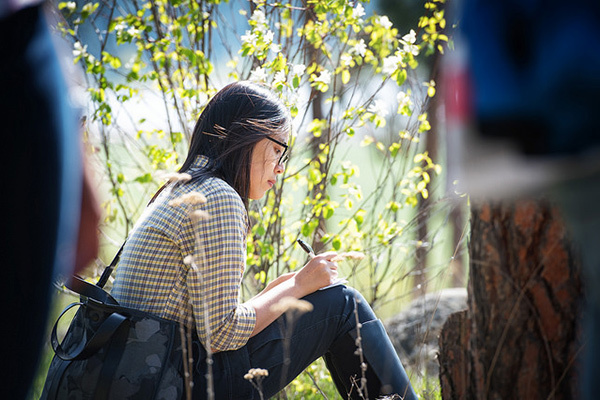 For 8,996 undergraduate students, UBC Okanagan provides an unparalleled mix of academics, community, and recreation. Start by exploring the list of programs offered at UBC’s Okanagan campus, and read up on what it’s like to live in the Okanagan Valley. Would you rather live in residence or live off campus? Watch this great video about one student’s move-in day to get a sense of how it might be for you. The best way to get a feel for the Okanagan campus is to join us for a guided campus tour – our student ambassadors would love to show you around and answer your questions. If you can’t join us in person, be sure to take a virtual tour. Ready to apply? Coming to UBC’s Okanagan campus could be the best decision you’ve ever made. To learn more about Kelowna and the Okanagan campus, email recruitment.ok@ubc.ca, or call 1.888.807.8521. If you are a Canadian post-secondary student hoping to transfer to UBC next year, recent changes to the deadline and application process may affect you. Read on to learn more. UBC has introduced a new early application deadline for applicants transferring from a Canadian post-secondary institution. If you apply by December 1, 2018, and submit your interim official post-secondary transcripts (and other required documents) by January 15, 2019, you will be considered for early admission based on your interim transcripts. If there are specific deadlines associated with your degree of choice, you will be notified once you have submitted your application. What happens if you miss the December 1 deadline? If you apply between December 2, 2018 and January 15, 2019, you may not receive a final admission decision until you submit final official post-secondary transcripts and other required documents by the May 15, 2019 deadline. You will be evaluated on these final transcripts and will be notified in June whether you have been accepted. What if you don’t receive a first-round offer of admission? If your application isn’t accepted based on interim post-secondary grades, there is no need to reapply. Your application will remain in our system and you will be asked to submit final transcripts by May 15, 2019 for an evaluation in June. Remember, applying early doesn’t increase your chances of gaining admission, but it does mean your application will be evaluated earlier and you’ll receive a decision sooner – between February and mid-April. Learn more about application deadlines for post-secondary students, or contact us to ask your questions. Good luck! Many of you have started working on your online application to UBC – fantastic! It’s good to start early so you have time to reflect on your answers to the Personal Profile section of the application. The Personal Profile asks you six or seven questions about challenges you have overcome, significant achievements in your life, your academic pursuits, and what you have learned from these experiences. The questions differ based on the degree program you are applying for, so starting your application will give you access to your specific questions. Does everyone have to submit a Personal Profile? Not all applicants are required to submit a Personal Profile, and others will have separate supplemental applications, portfolios, and auditions. To find out if your degree requires a Personal Profile, start the online application process and follow the instructions. How do we assess your profile? When we evaluate your application, two trained UBC readers will assess your Personal Profile against four criteria: engagement and accomplishment, leadership, substance, and voice. This is a chance for us to learn more about you and your experiences, beyond academics. We want to hear about your life and accomplishments – what have you learned, and how have these experiences allowed you to grow? We are not looking for a particular experience, and there are no right or wrong answers. Focus on what you want to say about yourself and how you want to say it – not on what you think we want to hear. Do you need to record a video interview? If you are applying to the UBC Sauder School of Business’s Bachelor of Commerce degree, you will be asked to provide video responses to interview questions in addition to a Personal Profile. You will be prompted to create your video responses within your application, including detailed instructions on how to include the video interview in the Personal Profile section of your application. Read our detailed tips and watch a video about creating your video interview. If you have not started working on your application, we encourage you to begin as soon as possible to make sure you have everything you need to submit your application on time. Good luck! We’re looking forward to learning more about you. Should I work with an agent to apply to UBC? Have you considered working with an education consultancy, or agent, to apply to university? Assessing and applying to universities overseas can be overwhelming, and an agent can sometimes help simplify the process. Before engaging with an agent, know what your options are so you’re in the best position to obtain accurate and helpful information. Do I need to work with an agent to apply to UBC? What questions should I ask an agency? Do you charge service fees to your clients, or do you have commission-based agreements with universities? If you charge service fees, what are they and when are they charged? Are you certified by the American International Recruitment Council(AIRC) or other organizations or associations? Which ones? Note that AIRC has one of the strictest certification processes for agencies to become members. How many years have they been advising students about universities abroad? Have they have visited UBC or the institution you are considering, or even your country of choice? Have they taken any training, such as the Canada Course for Education Agents? If an agent claims to have an agreement with UBC or another institution, ask to see a copy of their active agreement (not the certificate of representation on the wall, but the actual agreement). Do you have the qualifications to advise on Canadian visas and study permits? When applying to UBC with the help of an agency, you should not have to complete any paper-based forms. The entire UBC admissions process occurs online at ubc.ca. Agents are not involved in any of UBC’s scholarships– these are conducted automatically, unless you are nominated by your high school. Please do not allow an agent to complete your UBC application on your behalf. This may jeopardize your application if UBC Admissions determines that your application is not an authentic submission. You – not the agent – are responsible for submitting your application to UBC on time, ensuring you meet the requirements. You are also responsible for completing all the other necessary steps to be considered for admission. Working with an agency does not increase your chances of admission or of obtaining a scholarship at UBC. All students are assessed on the merit of their grades and overall application. An agent cannot write or assist in writing your Personal Profile or any part of your application. An agent cannot submit false records or documents. Agencies cannot access your UBC records without your consent. You must have completed a Third Party Authorization in order for your agent to have access to your UBC information from your Student Service Centre (SSC) account. An agent cannot submit payments for any UBC-related fees on your behalf. And remember – we’re here to help. If you’re having difficulty with the application process, need to know more about UBC, or have any further questions about working with an agent, please contact us. A common question we’re asked here at UBC is about the difference between a degree and a program. What’s a program? What’s a degree? And why is it important to know the difference when you’re deciding what to study in university? Degree versus program. What’s the difference? At UBC, your degree refers to the level and type of study you will complete during university (e.g., Bachelor of Arts or Bachelor of Science). It’s the designation you’ll earn at graduation. A program refers to the subject you choose to specialize in (e.g., your major in Anthropology or Biology). It’s your area of focus within your degree. For example, if you study in the History program, you’ll earn a Bachelor of Arts degree. If you study in the Civil Engineering program, you’ll earn a Bachelor of Applied Science degree. When you apply to UBC, you’ll select a degree and a campus. Before you apply, it’s a good idea to check out UBC’s programs to get a sense of which subjects interest you most. Once you have a list of programs, you can use it to help you select the degrees you’d like to apply for. For most degrees, you don’t have to commit to a program until your second or third year of study. But if you compiled a list of programs you were interested in when you applied to UBC, you will be well equipped to select the program you’d like to major in when it’s time to choose. 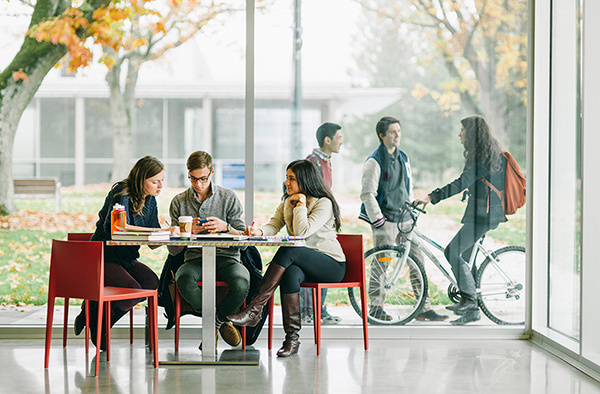 Learn more about applying to UBC and about choosing a degree and program. If you’re applying to UBC Sauder School of Business’s Bachelor of Commerce (BCom) program, your Personal Profile will include a video interview section. You’ll be asked to provide on-camera responses to two pre-recorded questions. We’ve created these tips to help you prepare for, and create, a strong video. Read on for more information! Why is the video interview important? In the BCom program, collaboration, in-class discussion, and public speaking are daily activities. Your ability to listen to others and to communicate clearly by verbally articulating your thoughts and ideas is essential to your success, and in many cases, the success of your team during group work. If you’re intimidated at the thought of speaking on-camera, don’t worry. The questions will relate to your personal experiences and opinions, so there are no wrong answers. In fact, the video interview is a great opportunity for you to showcase how you can think critically, perform under pressure, and stand out from other applicants. Within your Personal Profile, you’ll be directed to a separate online video-interview platform. Be sure to read all instructions thoroughly. Allow yourself ample time to test your recording equipment and try a practice question before recording responses to two pre-recorded interview questions. You’ll only have one attempt to respond to each question. Once you’ve started to view a question, you won’t be able to pause or replay it. You’ll be given 30 seconds to think about your answer, and up to 90 seconds to record it. Take time to reflect. Think about past challenges, achievements, strengths, and beliefs. Create the best recording space possible. Close all other browser windows and programs on your device. Make sure there’s good lighting in front of you. Silence all audible alarms and alerts. Eliminate loud background noises, and stay free from other distractions. Be confident. Maintain good posture, smile, and present yourself professionally. You’ll find these simple actions will put you in the right mindset to more easily and naturally deliver your responses. Do not read from prepared statements or notes. Don’t dwell on mistakes. Natural speech isn’t always perfect – the occasional “umm” or mispronounced word is commonplace and to be expected. If you misspeak during your response, take a moment, breathe, and keep going. Remember, you’ll have just one attempt to answer each question – there are no do-overs. Be authentic. One of the reasons we’ve incorporated the video interview into your application is to get to know you better. Don’t tell us what you think we want to hear; tell us what you want us to know about you. We look forward to learning more about you. Good luck! Every aspiring high school student applying to UBC (and some transfer applicants, too) must submit a Personal Profile as part of their online application. It’s a chance for you to tell the University about your life and accomplishments: What have they taught you about yourself and the world around you? We’ve compiled helpful information for writing your Personal Profile, and we want all UBC applicants to have the benefit that comes with reading these tips. Visit our Personal Profile page to learn more about what to consider before you write your profile, and how UBC will evaluate it. If you submitted a 2019 Winter Session UBC online application for undergraduate admission prior to October 4, 2018, and you wish to resubmit your Personal Profile after reviewing our tips, please contact the UBC Undergraduate Admissions Office at admissions.inquiry@ubc.ca. Each year, UBC receives approximately 40,000 undergraduate applications like yours from across Canada and around the world. You may be applying directly from high school or transferring from another university or college, studying at a Canadian school or following any one of a number of international curricula. English may be your first language, or your second or third or fourth. So when you ask, “What are the requirements for admission to UBC?” – UBC advisors are bound to reply with a few questions of their own. Do you meet UBC’s English language requirement? English is the primary language of instruction at UBC. All prospective students are required to demonstrate English language competency before they’re admitted. Do you meet UBC’s general admission requirements? Your general admission requirements will vary depending on whether you’re a Canadian high school student, an international high school student, or a post-secondary transfer student from Canada or abroad. 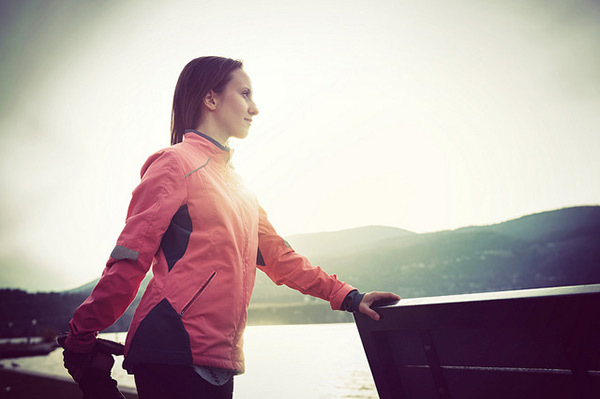 Do you know what you’re interested in studying at UBC? You don’t need to select a program or major just yet (e.g., English or Biology), but you’ll need to identify which degree you’re working toward (e.g., Bachelor of Arts or Bachelor of Science). 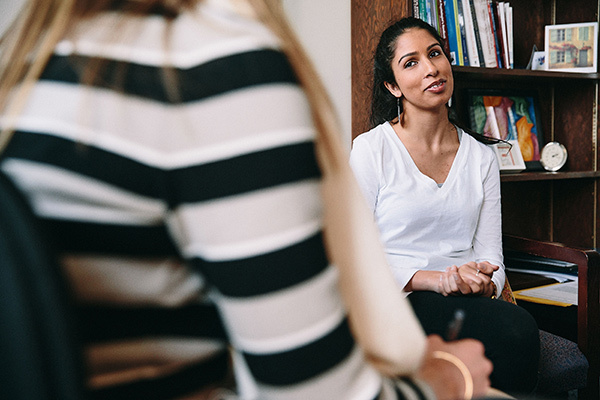 Choosing what to study will help you determine which degree-specific requirements you must meet when you apply to UBC and help you understand how your application will be reviewed. When you complete your application, you can select a first and second choice of degree. You don’t have to indicate a second choice if you don’t have one or if you only meet the requirements for your first-choice degree, but it’s always a good idea to keep your options open. Some degrees are offered on both our Okanagan and Vancouver campuses, so one approach is to apply for the same degree on both campuses as your first and second choices. Does your chosen degree require a Personal Profile or supplemental application? All high school applicants and some transfer applicants are required to submit a Personal Profile as part of their application to UBC. Depending on the degree you choose, a supplemental application, portfolio, or audition may be required too. 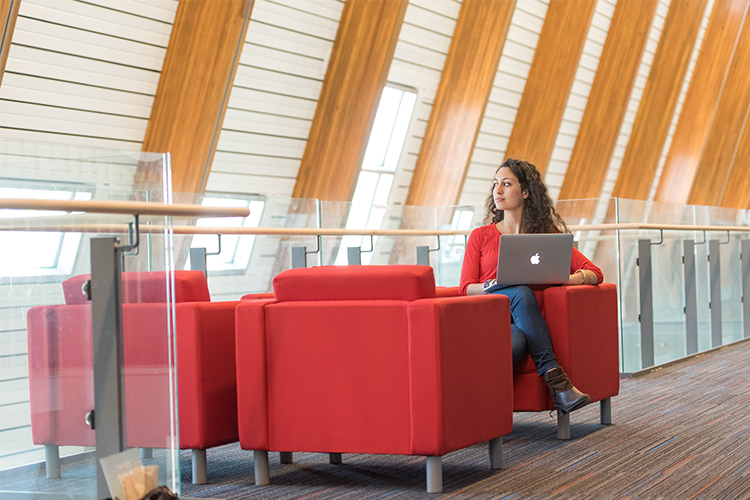 No matter where you’re from, what you want to study, or which UBC campus you’re applying to, our Undergraduate Programs and Admissions website can help you find the admission requirements that apply to you. Still have questions? Contact us and we’ll point you in the right direction.